When the home of Alex Cross's oldest friend, Ellie Cox, is turned into the worst murder scene Alex has ever seen, the destruction leads him to believe that he's chasing his most dangerous enemy yet. As Alex and his girlfriend, Brianna Stone, become entangled in the deadly Nigerian underworld of Washington D.C., what they discover is shocking: a stunningly organized gang of lethal teenagers headed by a powerful, diabolical man-the African warlord known as the Tiger. Just when the detectives think they're closing in on the elusive murderer, the Tiger disappears into thin air. Tracking him to Africa, Alex knows that he must follow. Alone. 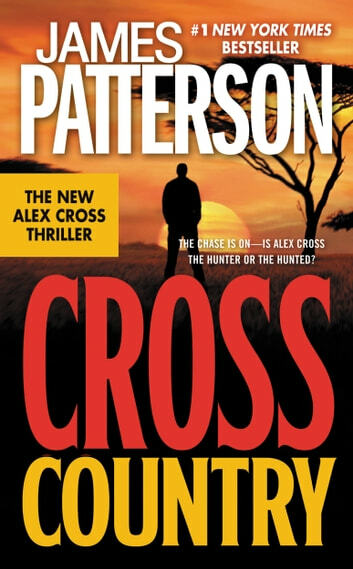 Heart-stopping, speed-charged, and electrifying, Cross Country is a stunning thriller from "the man who can't miss" (Time). Fast paced and keeps you hungry for the next chapter.Patterson delivers another good story. 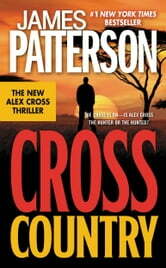 A must read for fans of Alex Cross. I really enjoyed this book. Alex always has exciting adventures, where he gets into all types of situations and is able to still solve the cases. Not my favorite. It didn't seem to matter what chapter I was reading. Cross always seemed to be getting viciously beat up. The ending was also a let down. It started off well then when he went to Africa, it seemed to drag on and on. How much torches can a man go through?